Unlike auto insurance, Missouri doesn’t require boat/watercraft owners to carry insurance on their vessels. A boat/watercraft insurance policy is the only way to ensure you are fully protected when you’re on the water. Below is a brief description of how boat/watercraft insurance can keep you protected. 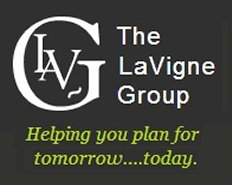 For a more detailed explanation, contact one of our independent agents at The LaVigne Group. A boat/watercraft insurance policy will include a number of individual coverages for each of these categories. One of our independent agents will be glad to explain individual coverage options, since they differ from other types of insurance policies. At The LaVigne Group, we can help you save on boat/watercraft insurance by comparing all of the available policies. We’re an independent agency, and we’ve served many boaters in Missouri. Our agents know what to look for in a boat/watercraft insurance policy, and what to avoid. They’ll help you find the right type of coverage at the right price. Even after you’ve found insurance coverage, we’ll continue to serve you. Anytime you have a question about your policy, just give us a call. One of our agents will quickly pick up and answer your questions. We can only help you if you first call us, though, so give us a call today. We'd love to begin serving you.